Airton is our double monk ankle boot. Uniquely elegant double monk strap hand burnished upper, just above the ankle pattern. The famous stag logo is debossed to heel tab. Leather and textile lining printed with GS stag logos and padded leather sock with GS logo embossed in gold. Durable and anti slip TPR sole branded with lots of GS detail. Available in Tan & Black. Phenomenal boots. Can’t wait to order another pair. My brother raves about this company and I’ve finally bought a pair. Now I get it. The materials and workmanship are a league above. Great value as I’m sure they’re going to last a long time! 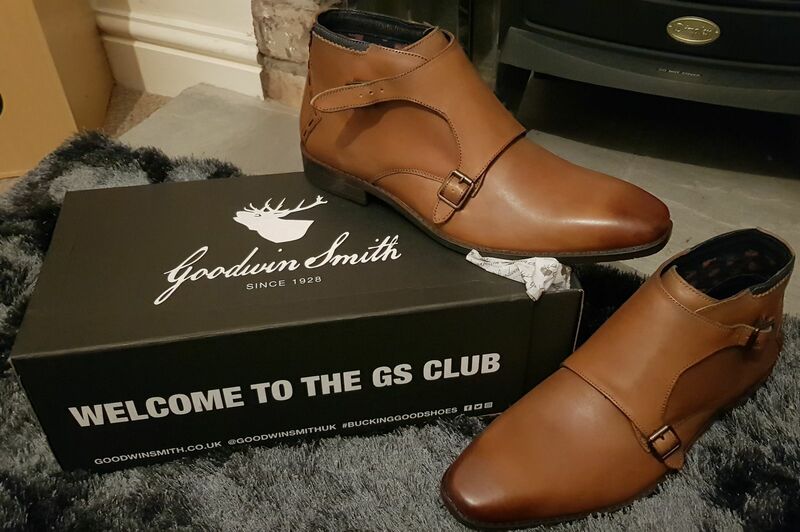 A fabulous ankle double monk boot, great colour Style and fit. Drawer style good quality shoe box is a great idea for storage and protection. This is my third purchase from yourselves in the last six months. I am really impressed with the speedy service. This product like all the others is a great fit and very comfortable to wear, look great as well! Time to get saving for my next purchase! Quick delivery, soft stylish leather. My first purchase and will be buying more in the future. Monk straps make the shoes individual and makes you stand out from the crowd.